Robert Pippin disputes many traditional characterizations of the distinctiveness of modern philosophy. In their place he defends claims about agency, freedom, ethical life and modernity itself, all of which are central to the German idealist philosophical tradition, and in particular, to the writings of Hegel. 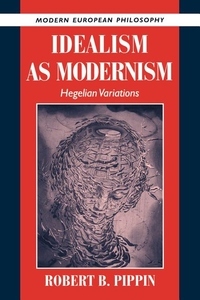 Having considered the Hegelian version of these issues the author explores other accounts as found in Habermas, Strauss, Blumenberg, Nietzsche, and Heidegger.